Alot of my research into my family history the last two years has focused on the Foutz branch. Why? Well, as I’ve mentioned in this space a few times, when your father is the youngest son of a youngest son of a youngest son of an oldest son who died young, at 55, and in turn was son of another youngest son, something seems to get lost in translation. Imagine, all those older relatives — if they’re still around — gathering around the table or slumping in easy chairs in the living room, sharing memories and talking about the olden times and you’re, what? Four years old? Six? Two? So, the discoveries we’ve made and the places we’ve journeyed in the last year or so are nothing short of remarkable, when it comes to a surname and family we basically knew only a little about. And that was true of my grandmother, Erma (Johnson) Foutz and her sister-in-law, Doris Foutz Waddington, too. Their letters from the 1970s show that they were struggling to fit the pieces together. And to be fair, Doris was even younger than my grandfather. What we do know, now, is that Foutzes farmed the steep hills of Harrison County, south of and around Bowerston, for over 100 years. That our first ancestor in America came there, after emigrating from Germany, about 1811. And that 100 years later (and now, nearly 100 years ago), an ancestor we do know about, my great-grandfather, Vance Cleveland Foutz, brought us to Dover, where the next 4 generations lived out their lives on football fields and in steel mills and in all the local haunts. Here’s a look, in detail, at what we know. And a start at deciphering the mysteries that remain. Also pictured above. Grandfather. 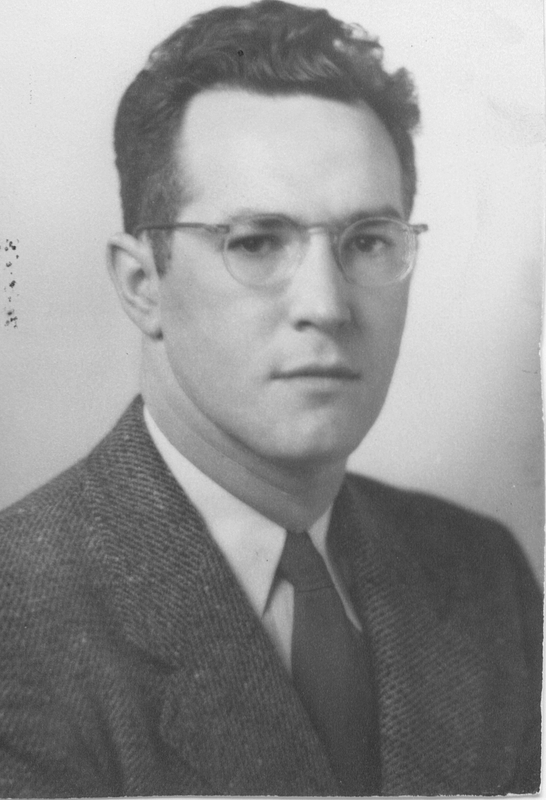 Born in Dover, Ohio, March 4, 1914. Died November 14, 1980 in Dover. Mechanic, steelworker. Married May 9, 1942 in Dover. Erma was born Oct. 27, 1920 in New Philadelphia, Ohio. She died July 16, 2000 in New Phila. 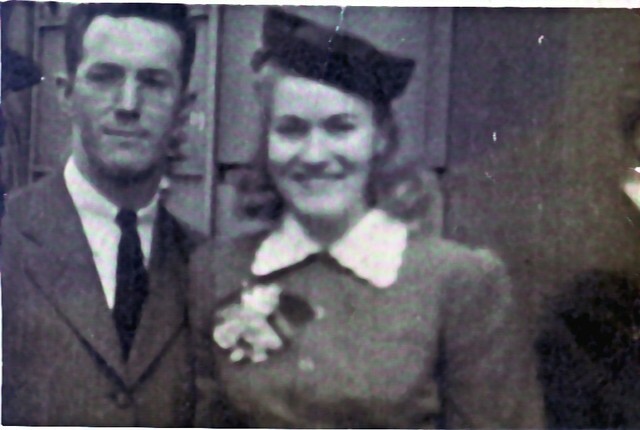 Parents of Donn Dale, Robert Vance, Frederick Charles. Great-grandfather. Born Sept. 7, 1887, near Bowerston, Ohio. Died Aug. 4, 1968 in Dover, Ohio. Steelworker. Married Oct. 26, 1907 in Tuscarawas County, Ohio. Laura was born Dec. 17, 1885 in Canal Dover. She died Aug. 29, 1956 in Dover. 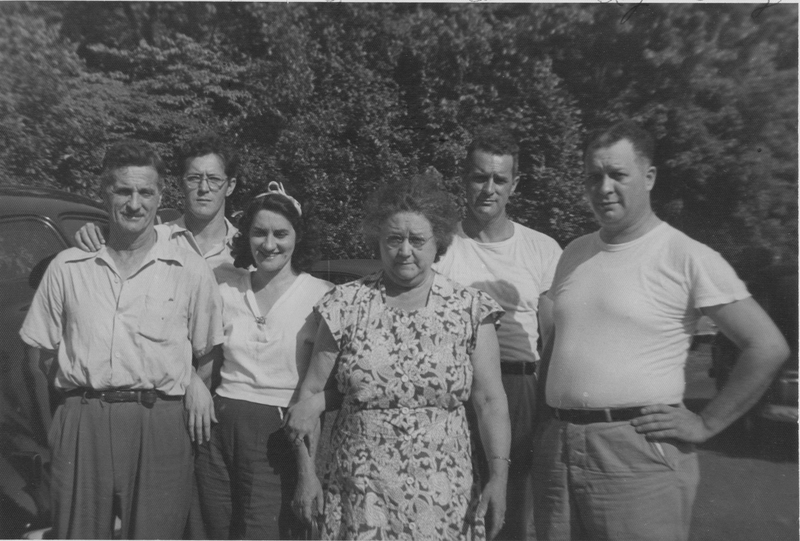 Parents of Roy Vance, Carl William, Donald Dale and Doris Pauline. Great-great grandfather. Born May 1845 near Bowerston, Ohio. Died August 1900, either back home in Harrison County or at his son Sherman’s home in Washington D.C. Farmer. Married Oct. 11, 1865 in Harrison County. Rebecca was born July 13, 1847 in Harrison County. She died May 25, 1915 in Dover, Ohio (in the home of her youngest son, Vance). Parents of Sherman S., Lila Ann, Rachel L., Ida Bell, John Cephas, Charles Ross and Vance Cleveland. Great-great-great grandfather. Born Jan. 4, 1822 in Monroe Twp., Harrison County, Ohio. Died Feb. 17, 1911 in Bowerston, Ohio. Farmer. Married Jan. 18, 1843 in Harrison County. Delilah was probably born July 8, 1824 in Harrison County. She probably died Nov. 26, 1905 in Monroe Twp. Parents of Jonathan, Tabitha, John G., David, Nathaniel and Nelson. Great-great-great-great grandfather. Born 1768, probably in Baden-Wurttemberg, Germany, were the Pfauts-Fouts-Foutz name is traditionally viewed to have originated, along the lower Neckar River valley. Died April 21, 1851 in North Twp., Harrison County, Ohio. Emigrated from Germany in 1787. First settled in Washington County, Maryland, where he married in 1799. Came to Ohio about 1811, gaining the patent to his 80 acres of farmland in North Twp. in 1824. Catherine was born about 1877 in Maryland. She died Nov. 18, 1844 in Harrison County. Parents of Michael Jr., Mary, Jonathan, John, Jacob, Catherine, Gideon, Elizabeth, all of whom are listed in the May 1851 review of Michael’s will. ON THE SPELLING OF OUR NAME — From source documents and signatures on documents, including land patents and Michael Pfouts’s 1851 will, it would seem that the original spelling of our surname, at least once our ancestors landed in America, was Pfouts. This is how it appears in early censuses in Harrison and Tuscarawas counties, too. But Gideon and Jonathan appear on 1875 maps as Pfoutz, and by the time Gideon is buried his death certificate indicates Fouts, while oldest son Jonathan is using Foutz, as is his oldest son, Sherman, in the Washington D.C. census and in several articles written about Sherman from that time period. In any case, Vance Cleveland Foutz formally has dropped the P and the s by the time he moves to Dover, sometime after his father’s death in 1900. What is interesting is that several of Gideon’s brothers keep the Pfouts spelling. 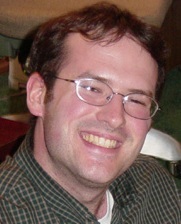 Most notably, his oldest brother, Michael Jr., and Michael’s son and namesake, Michael III, who moves the Pfouts family to Wood County, Ohio following his father’s death, sometime after 1870. They still use the Pfouts spelling today. ON THE 9TH GENERATION AND EARLIER — It all comes down to whether 19-year-old Michael crossed the Atlantic alone, or did so in the company of a father or other ancestors, possibly also named Michael. John Scott Davenport’s Pfauts-Fouts-Foutz newsletters establish Michael as emigrating in 1787 and coming to Washington County, Maryland before moving on to Harrison County, Ohio. But I’ve found no other mentions or details on our ancestor, aside from that initial accounting of immigrants in the opening of each newsletter from 1980 to 1987. There were newsletters before this — as far back as 1970, called Fouts Folks, but I haven’t been able to get hold of them. According to other genealogies in the early newsletters, several Fouts families congregated in Maryland, and perhaps that’s what drew our ancestor there, to family. But these ancestors quickly sold off their land — as did ours, when you think about it — and moved on, most notably to North Carolina. We also don’t seem to be connected, at least after emigration, to the Foutses who made their homes in what is known as the Pfoutz Valley in Pennsylvania. This area is more than 100 miles north of where Michael Pfouts settled in Maryland, and seems to be the origin of many of the Pfoutses who became Mormons. So far, in my research, our families have mostly congregated to the Lutheran Church, most notably in Bowerston and Dover, Ohio. But back to Washington County, Maryland. Censuses before 1850 do not list anyone but the head of household, and then list the number of males and females in the home, according to age group. I have found evidence of at least two Michael Pfoutses living near each other in Maryland (same census page) before 1811, when Michael’s son Jacob was born in Harrison County, effectively documenting the family’s move there. But until I find a death record, or a grave for this supposed elder Michael Pfouts, or something to trace them both back to the mother country, I can’t get to my fifth great grandfather and back. ON WHERE WE’RE FROM IN GERMANY — Again, the Pfauts-Fouts-Foutz newsletters of the 1980s establish that Foutzes of all stripes — well, at least German stripes — came from the lower Neckar River valley in what is Baden-Wurttemberg today. Just as the first Leys in America reported their German state of origin as Bavaria, an area that was later folded into Rheinland-Pfalz after World War II, the region the Pfoutses are from was made into Baden-Wurttemberg. What we don’t know is whether Michael Pfouts would have emigrated, back in the day, from Wurttemberg, or Baden, or Hesse, or some other German state that was active and governing and, hopefully, documenting all of this back then. But for now, consider your roots originating in the Black Forest region. Home of Danube, east of the Rhine. Place of castles and cuckoo clocks and fast cars (Mercedes Benz and Porsche call the place home). The main cities include Stuttgart, Heidelberg, Rottweil and Rottenberg. Other Pfoutses have been connected to Mossenbach (possibly Mosbach today?) and Rohrbach. 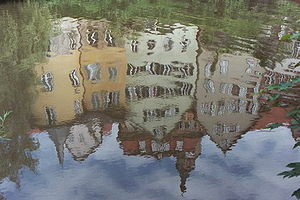 Tubingen houses reflected in the Neckar River, Germany. 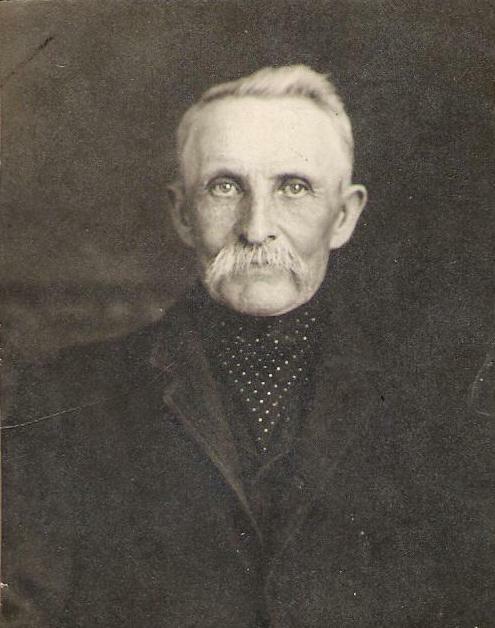 JJ zeigler was my great great grand father’s brother Gottlieb ZIEGLER born 1820 Germany and william zeigler my great grand father is buried in Maryland but was born in Germany 1852 The comes my grand father Herbert larsh zeigler born 1897 in baltimore Md. Just a note of frustration… if Michael came from the Black Forest area I will be royally ticked!!!! I was there once having no idea that I should have looked for any family history while there and I don’t anticipate returning there anytime soon. Grrrrr……. Grrrr indeed. And lucky you! Closest I got to dear Deutschland was a choir trip to Prague, Vienna and Budapest in 1997. The good news is that I’ve (we’ve…) got a cousin there now. My first cousin, also from Dover, is on a two-year assignment I think. I forget where they’re living, but if we ever dig up some solid info, we can see if she or her husband will collect details/photos, etc. The info on Pfoutses in general coming from the Lower Neckar River region seems solid, seeing as it comes from the famed Dr. John Scott Davenport. However, I have seen nothing hard copy or electronically archived that shows any detailed work he or his joyful minions did on Michael. And yet… he appears, with a definitive immigration date and the places he lived. an angle worth pursuing would be what, exactly, on our line is sitting in the Foutz archives, or whatever they call them. Last I recall, Dr. JSD was launching his own FamilyTreeMarker/Ancestry-type venture…. 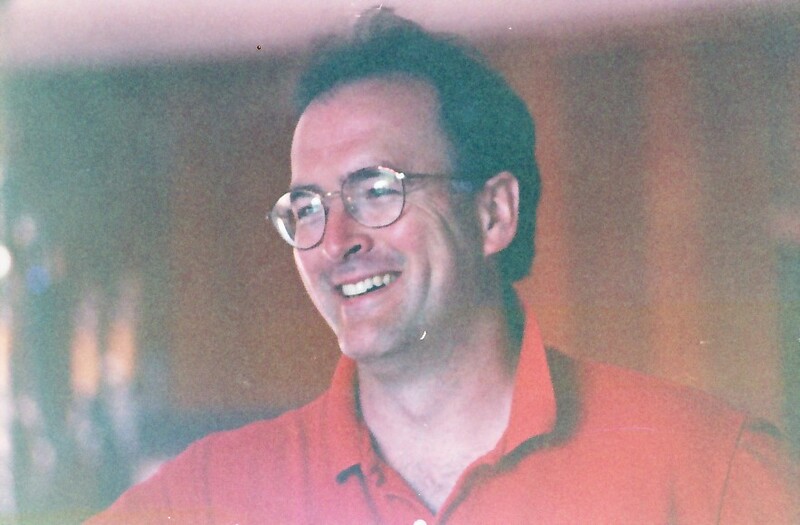 The hero superintendent, William Vernon Husfelt, III is a direct descendant of Johann Adam Balmer! That’s all very good… but did you mean for this to be posted to the “Know Thy Johnson Patriarchs” instead? Actually, William Vernon Husfelt’s relative is by marriage. His stepmother Joyce Husfelt was married before. Augh! Finding where Michael Pfouts originally came from has been a headache of mine for a while. He’s listed as being from Prussia on a census. I just really wanted to say “hi!” You’re doing a great job! I’m hoping to get back onto Ancestry.com in May. I need to finish a few things before I get back into research. Hope you and your family had a wonderful Christmas and a Happy New Year! Ah, that’s a typo. 1787 emigration, 1799 marriage. Thanks, Sara! And yes, I wonder how much they knew of each other. Kind of like the Weibles and Leys on my mom’s side. One of my grandfather’s uncles married one of my grandmother’s uncles long before they even knew each other. Doesn’t seem like there’s evidence of that here, but to be from the same region of Germany and hit the same area of Harrison County at the same time, well, there’s bound to be connections. How we find them, and confirm then, is another matter!